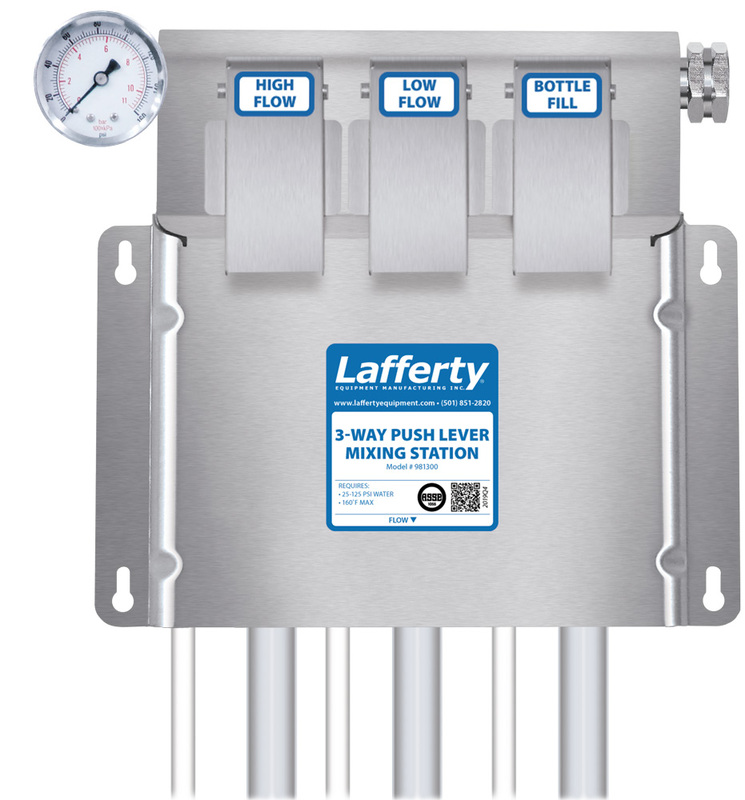 3-Way Push Lever Mixing Station | Lafferty Equipment Manufacturing, Inc. The 3-Way Push Lever Mixing Station is a chemical proportioner for accurately diluting 3 chemical concentrates to required ratios and filling any sized container with diluted, ready-to-use chemical solutions. This venturi injection system uses city water pressure (25 - 125 PSI) to draw and blend chemical concentrate into the water stream to create an accurately diluted solution. Push Lever Mixing Stations require the user to push and hold the lever to dispense. Available with separate flow rates for each lever to dispense into any sized container or equipment.